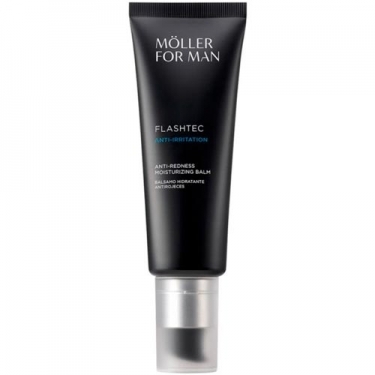 DESCRIPTION: Flashtec Anti-Irritation Balm from Anne Möller is an anti-redness moisturizing balm. 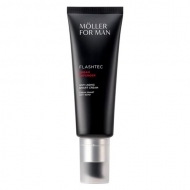 Its revolutionary active transport capsule, Niosome Elastic Complex, can cross the skin barrier to release active moisturizers and protectors, as well as contributing to the comfort of the skin surface. 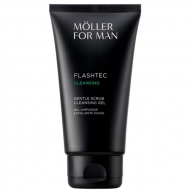 Apply on face in the morning and evening after shaving or shower.